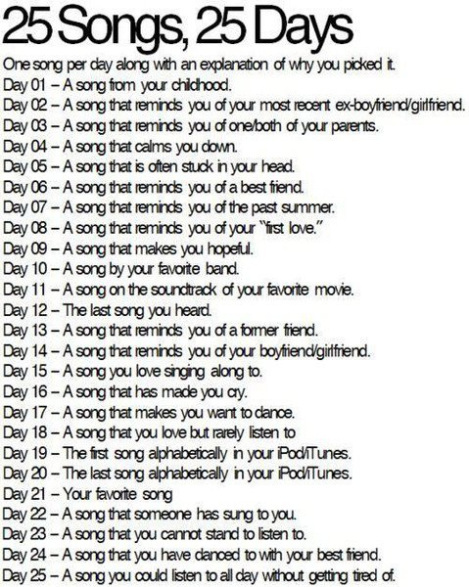 Day 14 – A song that you of your boyfriend/girlfriend. Me: How come you never sing songs like this to me? Male: Babe, if I ever sang that many la-la-las in a row, you’d think I was having a seizure. Posted in 25 songs and tagged music. Bookmark the permalink. Nothing wrong with being practical. Yeah, not much I can do about that. “I will know that you want me diligently”! Loved it.